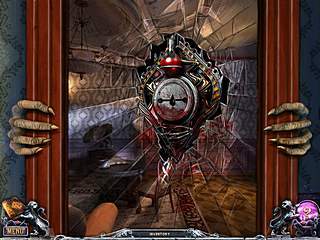 House of 1000 Doors: Family Secret is another game released into the hidden object puzzle adventure genre. It is a great game in its many aspects, but, seriously, who would want a game about spiritism on Christmas? The spirit tells you asks you to go to a house that appears in random places in random moments. You play as a writer of novels about the supernatural. You are all interested in it and not really afraid, but the problem is where can you actually get any of that in your won real life? But it is not a problem after you get an invitation by somebody who runs a spiritism school. At first you think that they are just a group of frauds, but after meeting your grandmother's spirit, you realize that maybe it is for real. The spirit tells you asks you to go to a house that appears in random places in random moments in order to fix something about her name. It is not very clear at first what kinds of levels you should expect here. You mostly play interactive adventure. It is interesting that you have to go back and forth and explore the areas again and again, because things become active as you accomplish something else. Then you will finally get to some puzzles that are fun to solve along the way. 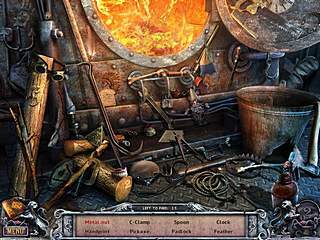 Then you come to the hidden object levels. The scenes there are full of items that belong the place and time. The game tells you from the very beginning that there is a bonus game, but you need to complete the main game first. The game is one of the best ones in this genre. There is no voice overs though if you are one of us, who appreciate that in the games. This is House of 1000 Doors: Family Secret review. Download this game here.